So, I’ve finished the world’s most beautiful baby kimono for the world’s most beautiful niece-to-be. 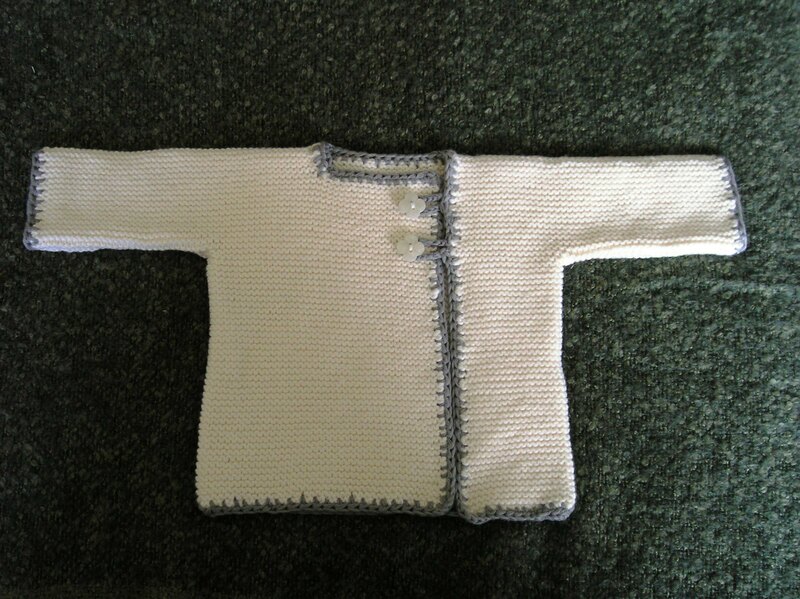 See the baby kimono in a less symmetrical state here. Like Brooke’s kimono, I finished this one with a single crochet edging–this time in heather Suss Love (a kind of light gray-green). This yarn is amazingly soft, perfect for baby clothes. The pearlized plastic buttons are just flowery enough to suggest femininity without being too girly. They also go really well with the neutral colors. I think my brother and SIL will love it. Update 01/25/11: Sadly, Suss Love yarn has now been discontinued.